"Jo Bertini is an exceptional teacher and has a unique way of extracting creativity from students that brings forth emotional connections with the landscape. Her passion for all aspects of painting practice is infectious and challenging in terms of why we choose subjects and how they are represented with energy and freedom." Susan Curtin - participant Jo Bertini workshop 2017. "Thank you very much for a wonderful long weekend, every aspect was enjoyable - such a cohesive group which I'm sure can be attributed to your welcoming nature, a well organised and considered programme and not to forget the delicious food. 'Kim Shannon was a delight. So generous with her time, experience and wealth of knowledge, all delivered to each participant with an individual approach. Nothing formulaic here. The other very appreciated feature of your well run workshops is all the information you provide; lists of required and suggested materials, accommodation possibilities within the area and directions on how to get there. All emailed well ahead of the event. The Peter Sharp workshop has been a truly informative experience on all levels. 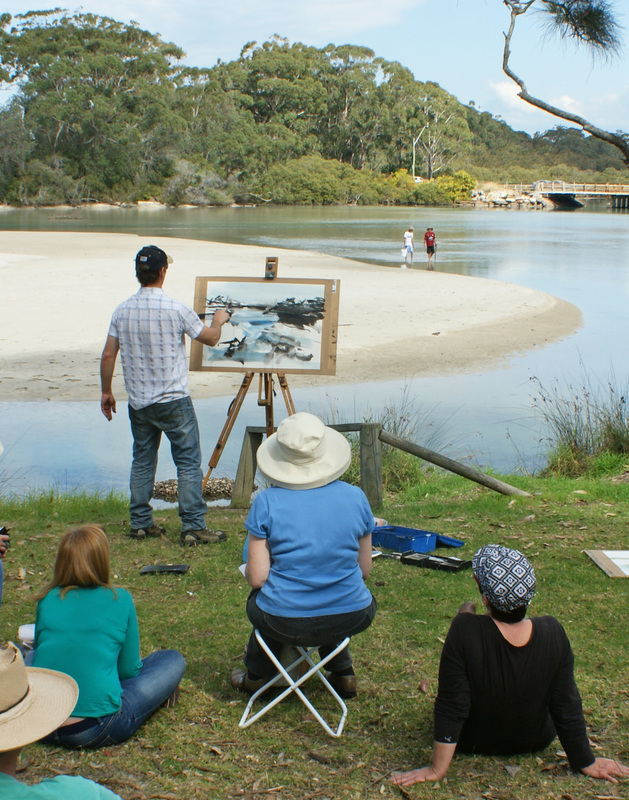 Peter has generously shared his knowledge of artists, his own processes throughout the 2 days in a warm and relaxed way. he has led the group through complex processes giving guidance and using his extensive knowledge to benefit us all. I would certainly attend his workshops in the future. Alison's thorough organisation has made the attendance and accommodation process very easy for me as a participant from a long distance away. Many thanks Alison for offering and organising this workshop. I found it to be a wonderful experience, so enriching and stimulating. I will be working through for some time to come a number of key ideas and techniques that Tim so generously and clearly articulated and demonstrated . Your organisation was first rate, venues were great and a good supportive atmosphere developed. A huge thank you for a wonderful time. I feel very lucky to have spent so much time learning from Lucy Culliton. She is one of the beautiful people - so generous, funny and a delight to be with. Thank you for all those yummy meals and great chats around the fire. 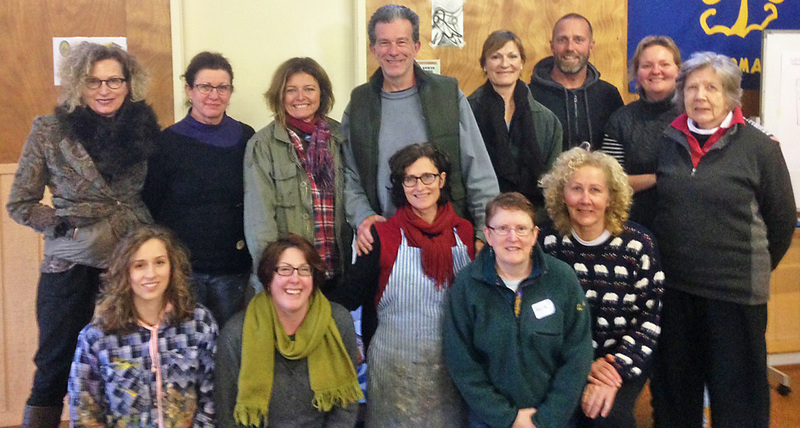 A really fabulous time with an amazing, inspiring and lovely group of painters. 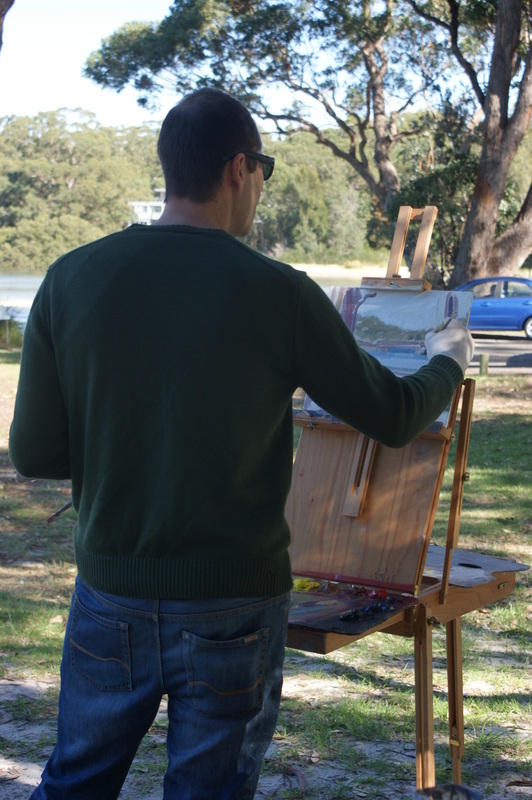 "Plein aire painting is so rewarding. I leaned a lot from Lucy Culliton's class. By the second day I already felt my painting was more energised. The evenings by the fire, laughing and getting to know the other participants were fun. Enjoying delicious meals without having to cook completed the pleasure of the experience. Definitely would recommend." "What a wonderful weekend! Thank you Alison for organising this fascinating weekend with Maryanne Wick. The focus on Clarice Beckett and the Tonalists gave the weekend a great framework and I learnt so much from Maryanne whom I think is a wonderfully insightful teacher. I got a lot from the other course participants too. You are doing a great job." 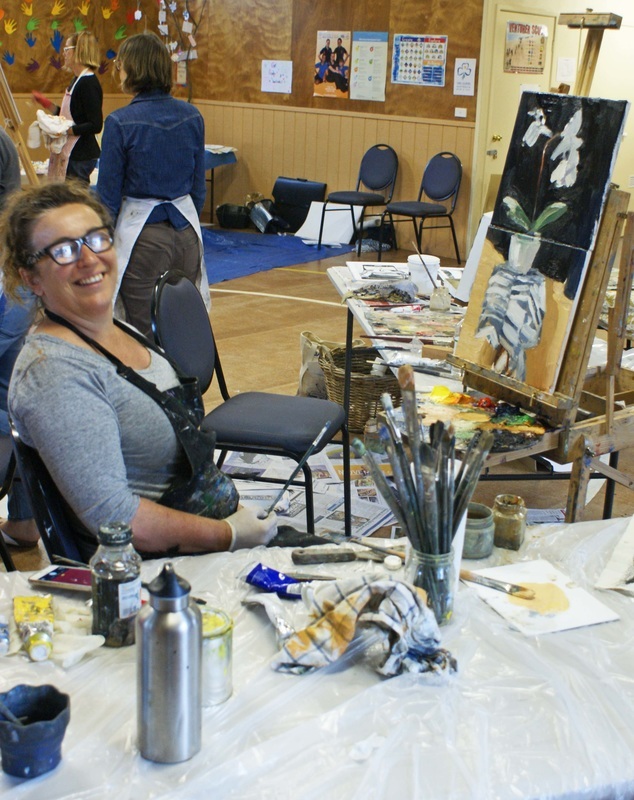 "I had an inspiring weekend learning about tonalism in the style of Clarice Beckett with artist Maryanne Wick. It's had an immediate impact on the way I'm looking at the world. On the drive home, I was looking at the clouds differently. I walk the river now of an afternoon and see it too in a different light. My corner of the world is suddenly full of new painterly possibilities. I discovered new artists, I met some lovely people and I would happily return to this gorgeous part of the coast to do another workshop with Alison Mackay." "Thank you for organizing the Jo Bertini workshop.I had a fantastic time! I found it so informative and even though I have been through arts school, I learnt concepts that I haven't come across before. Jo was very generous with her information and always positive and constructive. It has given me lots of ideas to take on and develop in my art practice"
"Thank you very much for the workshop - it was well organised and, most of all, friendly and warm. Kim is a wonderful teacher, very helpful but not intrusive. She seems to understand very quickly what each of us needs from the workshop. I learnt many new techniques in oil painting with Kim. My friends were very impressed with what I achieved in two days." "Kim Shannon's workshop was very well structured and nicely paced with loads of practical & thoughtful suggestions about my paintings and how to paint. Kim is a great teacher, she has a very considered and generous approach to teaching. Giving everyone equal time and attention. I greatly appreciated her input." "Kim exudes such passion for her art! Her approach to teaching is extremely generous as she showed a keen interest in each and every one of us. Kim took us through her painting process in some fantastic and challenging tonal demonstrations. The professional ease with which she approached the subject and laid down the paint is to be truly envied! I came away feeling much more confident and highly motivated with new and polished skills. A wonderful workshop!" Thank you so much for a wonderful weekend with Robert Malherbe! He is an inspiring and generous teacher and the group was also a great inspiration to work with. All your care and organization for the weekend was much appreciated. Can't wait for the next one! "I was not familiar with Robert's work until attending the workshop. Loved his style of painting and I was able to develop my techniques. I now have a new appreciation and passion for Still Life." "After attending my 2nd Peter Sharp workshop, I came away feeling refreshingly enthusiastic. Peter is a generous teacher who takes time to nurture each participant and guide them towards their own vision." " I thought Kim (Shannon) was a wonderful teacher especially in the way she made sure she visited everyone, was so generous with her information and happy to demonstrate - as well as just being a fun person." "John Bokor's opening comments about composing your painting within the landscape resonated for me. It was a very inspiring day." "Great workshop. Maryanne Wick is well prepared and gives individual feedback and attention throughout the 2 days. 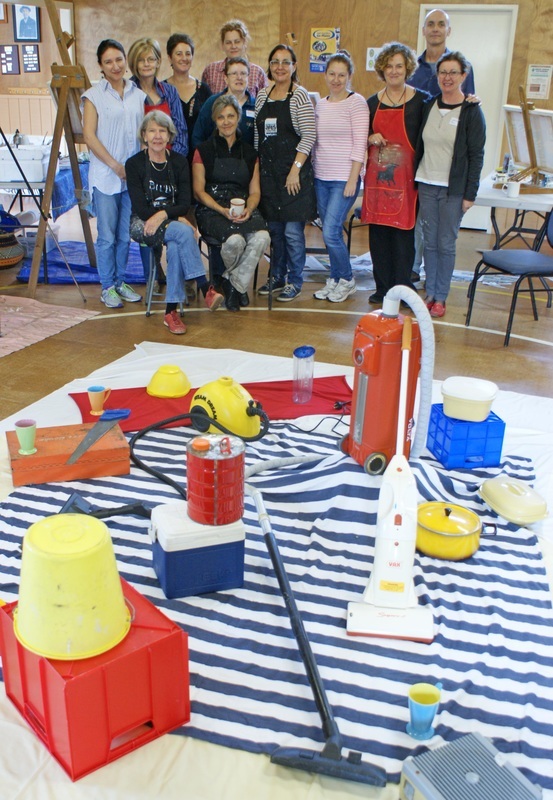 Great challenges and great outcomes for all"
"It is always an enjoyable, creative experience attending Alison's Art Workshops at Jervis Bay. 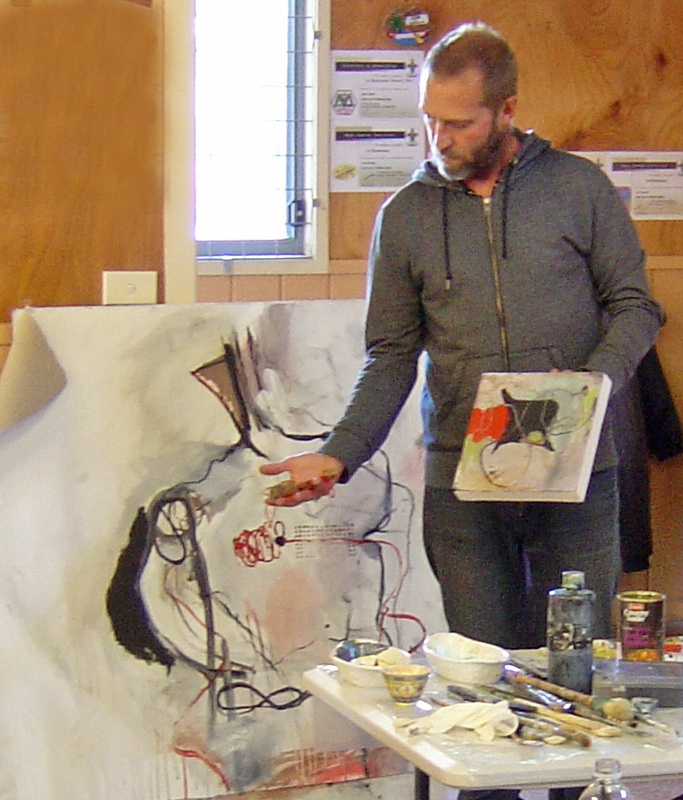 The workshops are professionally organised and attract some of Australia's best art practitioners as tutors. As a practising artist myself, I enjoy the energy of fellow participants, the generosity of the teachers and the invaluable experience and insight I gain with each and every workshop. "The workshops at Sanctuary Point are the most useful I've been to and compare very well to those run at NAS. 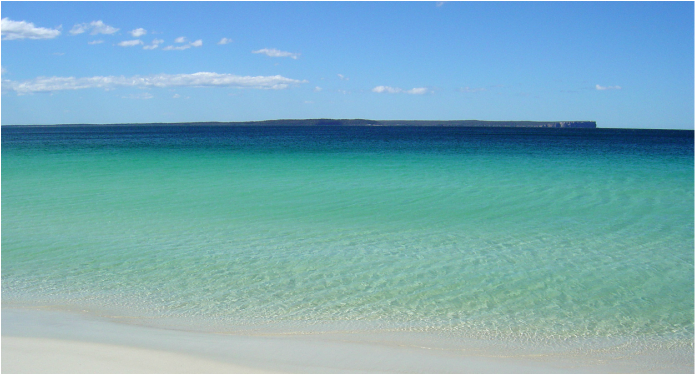 They are professionally organised and attract a really interesting range of participants. A great developmental experience." 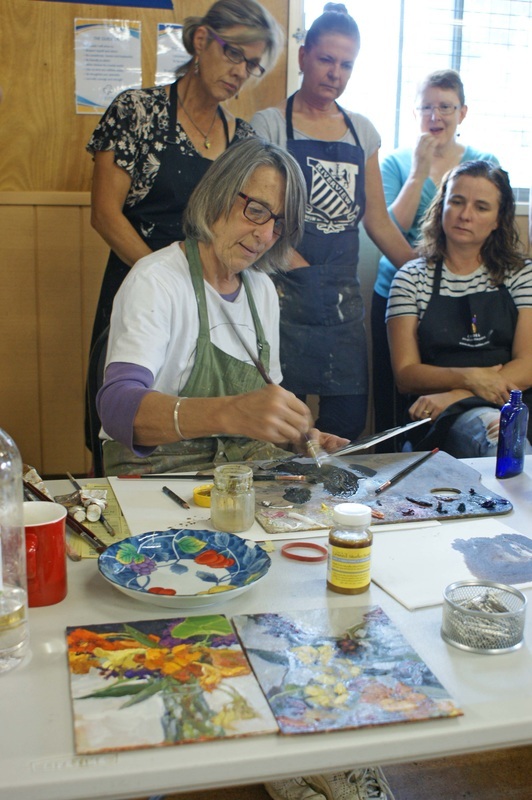 "I'm delighted to have found a series of art workshops on the south coast that have such excellent artist teachers and such a cosy, comfortable venue at such a reasonable price." "The dedicated time spent on current works with expert tutors is very important for further education"
"Working with Andrew (Antoniou) changes your perspective, opens new avenues for expression - it's worth attending again and again." "Bernard was excellent, very generous with his input, both with his own work, and time and effort with participants". 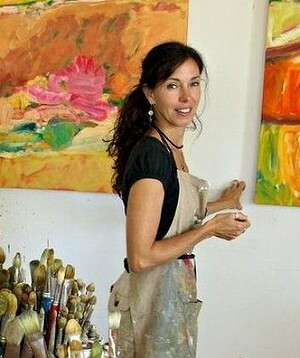 Linda Dening - Participant, Bernard Ollis colour workshop 2011. "Thanks for this truly engaging, well though out and educational opportunity. I loved the experience of having Idris Murphy share some of his skills and knowledge in such a thought provoking and inspirational way."